Siretta linkCONNECT – intelligent managed modem solutions are used in factory automation environments to link the factory systems to a site manager to monitor system performance and overall efficiency. The solution uses a remote link to capture information about the status of the factory systems including lights, doors and windows and ultimately report on total energy usage. The Siretta linkCONNECT – intelligent managed modem solution enables remote access to a host of sensors around the factory which can be used to report on a number of important parameters. There are a number of areas which are covered including providing a more energy efficient production environment or saving costs with energy usage over the year. 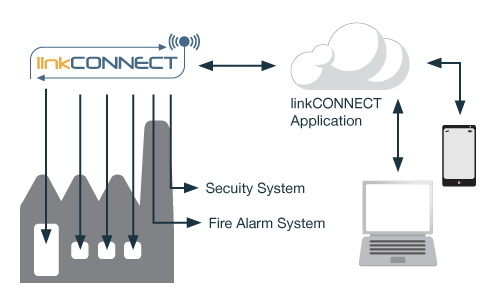 Another massive benefit of integrating systems together using a linkCONNECT solution is to be able to monitor all of your assets in one location. In addition it offers the ability to maintain a safe environment for your staff with lone worker, fire alarm and security systems all operating together.